Wireless standards and power cables are on the dock. The US Federal Communications Commission has unsealed some test reports about the Switch that show some of its hardware capabilities. The year ends with a second chance and the author's mom staying up until 4am. The last week of the year has a couple of North American retro releases, but not much else. The Wii U Virtual Console finally gets Mario Kart 64, which is upgrade eligible for the many people who bought it on Wii, and hopefully the upgrade works right from update time. In the realm of the New 3DS, it's another chance for Castlevania Dracula X following its aborted upload last week. Mario's newest adventure is coming to Android in 2017. 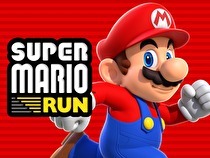 Super Mario Run is now available for pre-registration on the Google Play Store. Pre-registered users will receive a notification when the game is available on Android. Super Mario Run was first released for iOS devices on December 15th and quickly reached 40 million downloads. 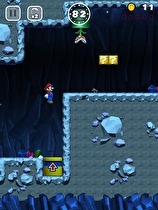 The game was first announced at Apple's Special Event in September as an iOS timed exclusive and was later confirmed for a 2017 release on Android. Win big, or at least listen to some hot tunes while waiting in line to play Switch. Get your grub on with your pals from the Mushroom Kingdom at locations all across Japan. Super Mario themed Happy Sets (Happy Meals) are coming to McDonald’s across Japan starting on January 6. Twelve toys in total will be available ranging from characters like Mario, Luigi and Bowser to items like question blocks and the iconic block staircase. There will also be a special series of stage stickers and a booklet that will only be available on January 7, 8 and 9. For a full look at the toys, be sure to check out the video below. The business models will depend on the game. Following two internal titles this year, Nintendo intends to increase their mobile pace in 2017. Tower defense, action and strategy - what's next for the robots? If all goes according to plan, the next SteamWorld series game will launch in 2017. Image & Form released their latest "Engine Room" update video today, in which it was announced that the next SteamWorld title will release in 2017 as part of the company's 20th anniversary celebration. 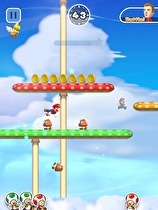 No platforms were identified, nor the new game's title. It's too cold. Thankfully, Shantae's around to heat things up. The big game of the week is what may be the second-to-last time we use the "Wii U Retail" heading for North America - Shantae: Half-Genie Hero. And even then, the disc launches next week. Still, Matt seemed quite smitten with the game, while noted Shantae fan Zach Miller will have his own analysis soon. And a tropical adventure is just the thing to warm up the world on a cold winter's day. Conversion rate information unavailable until January. Super Mario Run is seeing a lot of downloads, and adding new features to go along with it. A new "Friendly Run" mode became available today, allowing players to do a daily run of Toad Rally mode without using a Rally Ticket item. If the full version of the game has been purchased and World 2 completed, this expands to five runs a day. The Khronos Group has officially listed the upcoming console as conforming to several of the graphical API standards it's responsible for. The Nintendo Switch is officially compliant with the new Vulkan graphics application programming interface (API). The Khronos Group, which creates and manages a collection of industry standard APIs, has officially placed the upcoming console on lists of hardware tested and verified to be compliant with Vulkan's requirements, as well as lists showing compliance with OpenGL 4.5 and OpenGL ES 3.2. Some conventions and one north of the 49th parallel. Nintendo has revealed more Switch preview plans, including two major events in March. The new console will be present both at PAX South in San Antonio, TX from January 27 - 29, as well as PAX East in Boston from March 10 - 12 and South by Southwest (SxSW) in Austin, TX from March 17 - 19. The NES Classic number isn't a typo, or surprising. The NPD Group's monthly US sales survey shows strong performance for Pokémon and the difficulty of obtaining the NES Classic Mini. Run, don't walk, to this week's downloads. It's another one of those odd weeks for a Nintendo download report where the biggest deal isn't on an eShop. In this case, it's Super Mario Run for iOS (sorry fellow Android owners, we have a wait ahead of us). It could come out at any time, but if you signed up to be notified by Apple you'll probably find out before we do. The futuristic racer will likely debut early next year. Lifespeed, a 3D racer inspired by F-Zero, will debut exclusively for the New Nintendo 3DS early next year. Johh Owens, the CEO of Wee Man Studios, told Nintendo World Report that Lifespeed is finished and that the developer is currently waiting for the game to pass Nintendo's internal lot check. He further explained that a January release is very likely for the title. Nintendo's competitive tank combat title will be hitting digital shelves very soon. Tank Troopers, the third person action shooter for Nintendo 3DS, is set to release in Japan on December 21 on the 3DS eShop for ¥800 (roughly $6.95 USD with current rates). Nintendo also opened up the official Japanese website for the game today. Exact details of where to use the golden ticket will be forwarded. Some demo weekends have been announced for the Switch, and My Nintendo members will have some choice as to when to try the system out. Communication was sent to some My Nintendo members today announcing Switch demo weekends in major US cities. The Friday and Saturday events are invite only while Sunday will be open to the public. Those entering on Friday and Saturday are permitted to bring one guest with them. Joining Stardew Valley on the upgrade train. Following Stardew Valley's move to the Switch of a couple of weeks ago, a Kickstarrter success will soon be joining it. A couple of staff will be pulling all-nighters. Nintendo has confirmed the time for the Switch launch event. The new system will be revealed on January 12 / 13 as promised, with the stream live from Japan beginning at 11 pm Eastern time (8 pm Pacific) on the 12th for North America, 4 am GMT / 5 am CEST / 1 pm JST / 3 pm AEST on the 13th for the rest of the world. 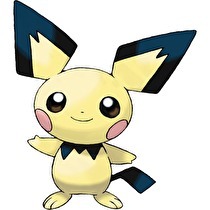 The first Johto-native Pokémon and a special Pikachu are coming to Pokémon Go today. Starting from today, Pokémon including but not limited to Pichu and Togepi will occasionally hatch from eggs. According to Niantic, more 2nd generation Pokémon will be available over the next few months. As well, a Christmas promotion will see a Pikachu wearing a special holiday hat from today through the 29th of December. Universal Studios Japan has released financial information and images for Super Nintendo World. The Japanese park will cost over 50 billion yen ($431 million US) and be completed before the 2020 Tokyo Olympics. It is expected to bring 11.7 trillion yen ($101 billion US) in economic activity to Japan along with 1 million jobs within ten years of opening. Costs and dates were not announced for the Orlando and Hollywood locations.